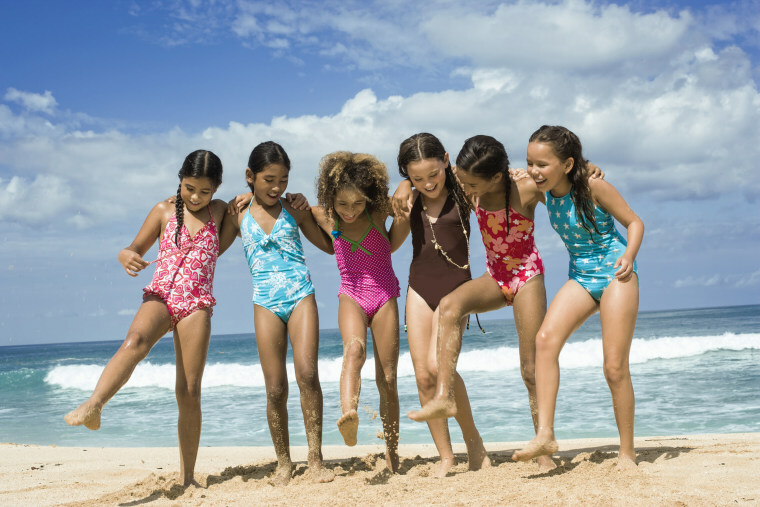 A confidence gap is not always easy to spot in young girls, but many learning habits early on can stifle their self-confidence well into adulthood. A confidence gap is not always easy to spot in young girls, especially when they’re bringing home good grades and excelling in their extracurricular activities. But many are learning habits early on that can stifle their self-confidence well into adulthood. In fact, the confidence gap between men and women starts around the age of eight, according to Katty Kay and Claire Shipman, co-authors of the best-selling book “The Confidence Code for Girls.” Know Your Value’s Mika Brzezinski recently sat down with the authors to talk about ways to help grow confidence in young girls. Many young girls are simply not learning the essential skills that will help them become leaders later on. They aren’t gaining the tools that will someday help them negotiate their salary, ask for a promotion or take on risky assignments, Kay explained. Kay and Shipman shared their top five tips to help girls believe in themselves from an early age. When girls treat themselves as a coach would, they can combat the negative voices—like “I’m going to fail”—and give themselves that push to get out there and try. “Ultimately, it might mean getting out there and doing it when they’re frightened anyway,” Shipman said. “At some point in life you’re going to fail,” Kay said. However, failure comes with a great learning opportunity. After a setback, it’s helpful to understand why that failure happened. For example, determine whether it was a result of, say, being distracted by social media or not studying hard enough. “Once you’ve calmed down from that failure, which to a girl can seem catastrophic, go back and think about what you can do better next time,” Kay said. Social media is really tough, Shipman said. Putting your phone down for a few minutes or for 24 hours, if, say, you’ve had an argument with a friend, can eliminate the need to use social media in a negative way. There are many positive ways to use social media, so focus on helping young girls learn ways to use it to their advantage. Girls tend to think they’re the center of everybody else’s attention, especially when that attention is negative. The bottom line: they’re not everyone’s headline news, and they certainly shouldn’t be led to believe they are. Reminding girls that perfectionism isn’t attainable and rewarding other behaviors, like positive risk-taking, instead, can go a long way for helping girls develop a strong sense of value. “If you can help your girls learn these things, they will have a better life,” Brzezinski said. “They will make more money, have stronger relationships, and have a deeper sense of themselves and a true sense of their value on every level. They will learn how to communicative effectively from the get go,” she added.